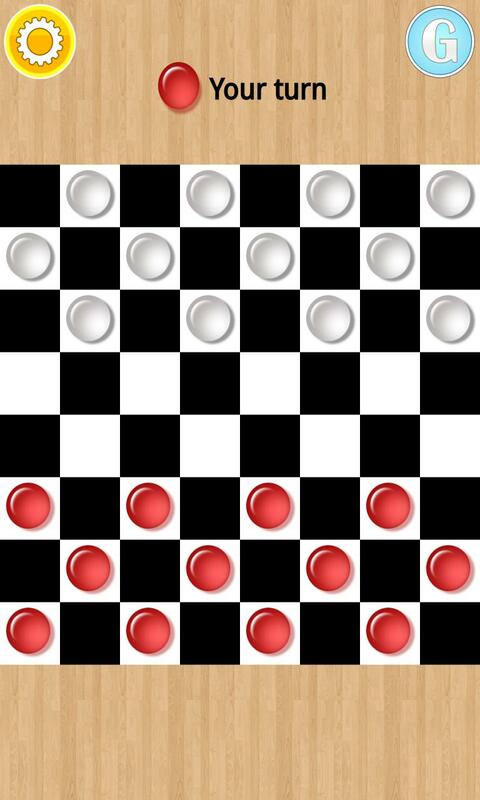 Play a captivating game of Checkers. 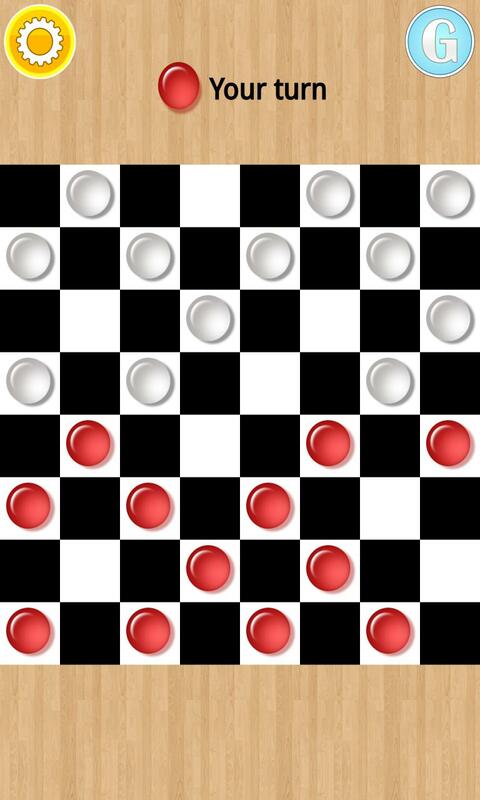 Move your pieces diagonally to unoccupied squares. 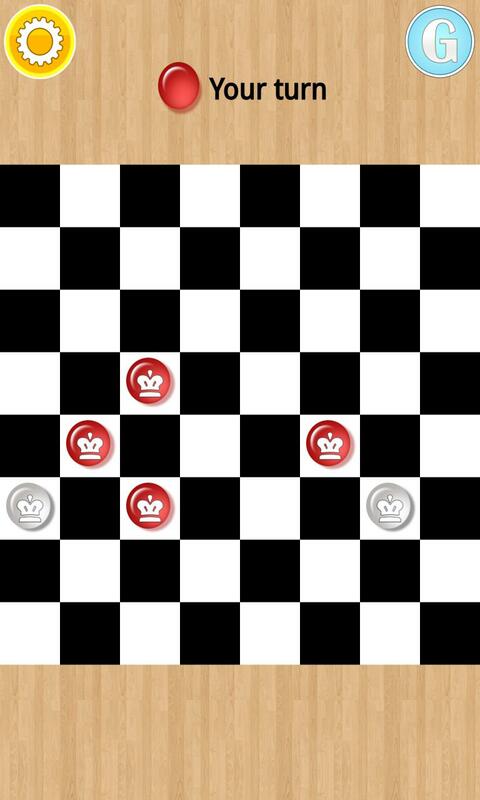 If the adjacent square has an opponent's piece, and the next square on the diagonal is vacant, you can capture your opponent's piece and move to the empty square. Chain your jumps to move faster and try denying your opponent that chance. A simple and fun game to play! Try it now! 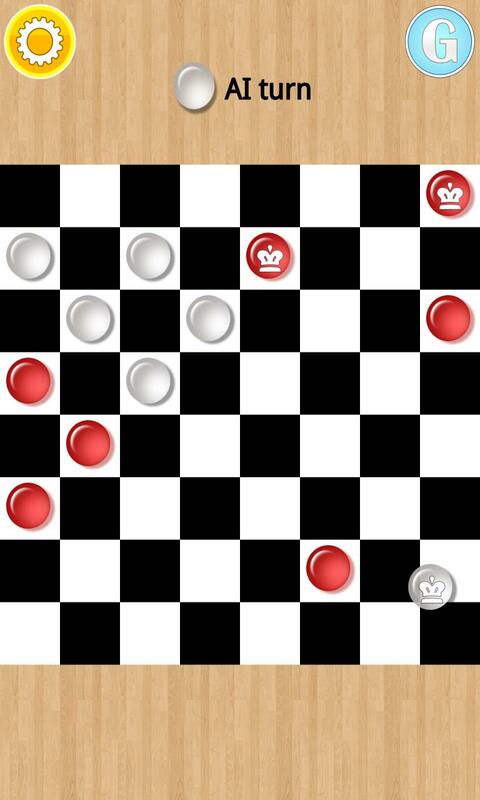 ✓ You play with the red pieces and the AI plays with the white pieces. 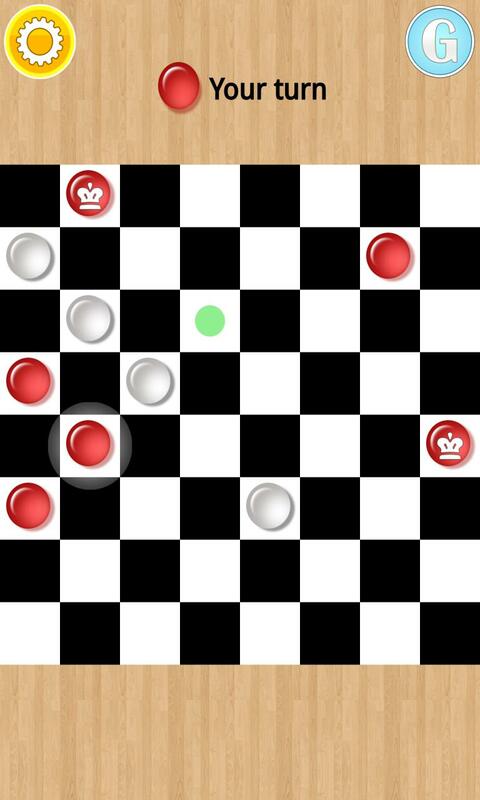 ✓ Tap on a piece to select it and then tap the square where you want to place it. ✓ When a piece reaches the top row it becomes a king. 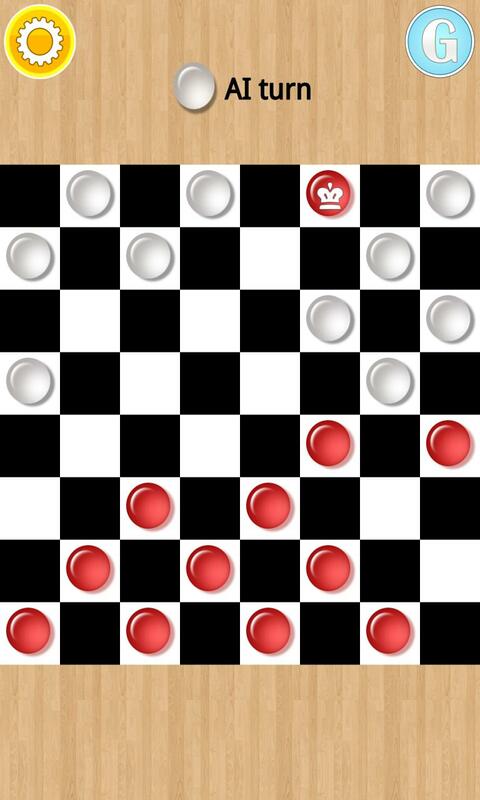 Kings can also be moved backwards and capture backwards. ✓ The player without any pieces remaining or the one that cannot move because he has no available moves will lose the game.